The two cases can be acquired for as little as $39.99 USD each from Amazon, down from the regular retail price of $69.99 USD. ZeroLemon is well known when it comes to protective cases for smartphones that offer more than just protection from scratches, drops, minor bumps, and occasional water splashes. The two fresh products from this company aim two Samsung flagships - the Galaxy Note 5 and the Galaxy S6 Edge+. These products are cases with a built-in battery that offers 3500 mAh of additional power. 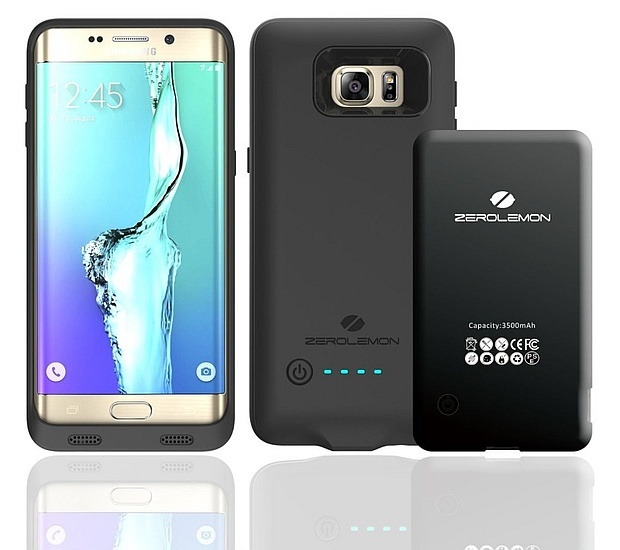 The downside of the ZeroLemon battery case is the fact that, once added to the device to protect and power up, it makes it bulky when compared to the same device without such an accessory. According to ZeroLemon, the power bank inside these cases offers a conversion efficiency of up to 95 percent, far higher than other similar external batteries that usually provide around 70 percent. The two cases come covered with Amazon's 30-day full refund guarantee while the manufacturer provides a warranty of 180 days for both the cases and the power packs inside.